The MDT features a high temperature shutdown function that detects unsafe high temperatures in the grow room and turns off the HID lights in the event of a ventilation failure. The MDT also features hot start protection to ensure proper lamp cooling before attempting to re-fire. 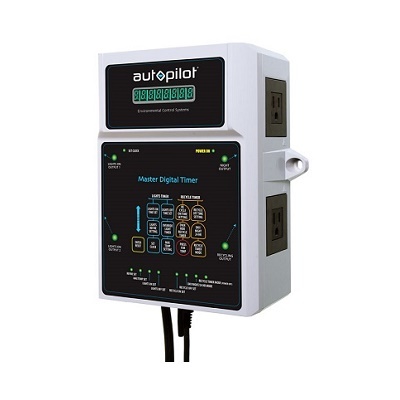 The precise cycle timer can be programmed anywhere between 1 second and 96 hours.